Delta Dental of Kentucky’s charitable initiative, Making Smiles Happen®, donated $150,000 to the Kentucky State Police Trooper Island to renovate the health clinic and add the first-ever oral health component at the camp. The generous grant will assist with the development of a new facility providing Trooper Island campers with the opportunity to receive oral health services for years to come. 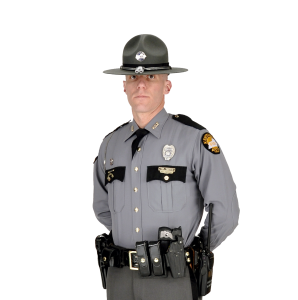 This past Saturday, Delta Dental of Kentucky and the Kentucky State Police broke ground on the new facility during Trooper Island’s Annual Appreciation Day. The Delta Dental Wellness Clinic will serve 700+ campers annually and each child will receive comprehensive oral health screenings in conjunction with oral hygiene education. The Making Smiles Happen® Initiative was created to ensure children and adults in Kentucky receive high-quality dental care and oral health education. The charitable effort also supports local organizations whose mission is to improve the lives of our youth through a variety of enrichment opportunities. Trooper Island is a free summer camp for underprivileged boys and girls operated by the Kentucky State Police on Dale Hollow Lake. This camp is a chance for kids to connect with the Kentucky State Police and make a difference in their community. This co-ed environment provides an opportunity for at-risk youth from all 120 counties in Kentucky to interact with law enforcement in a positive, threat-free environment. Trooper Island celebrated 50 years of service to the youth of Kentucky this year and over 30,000 kids have benefitted from this unique program. The Delta Dental Oral Health Clinic will be completed by May 2017.